The FTS 4100 is a self-contained module that is designed to be part of a larger system. It has the same cesium beam tube and electronics as other older (e.g., model 4050) FTS cesium standards, but no metering or other than the bare minimum of controls. 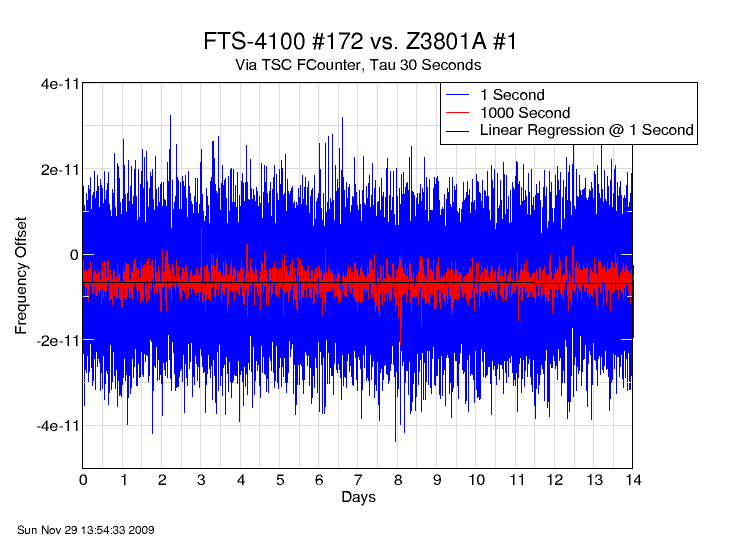 Here is some performance information for FTS 4100 SN 172 measured against a Z3801A GPSDO for 14 days. 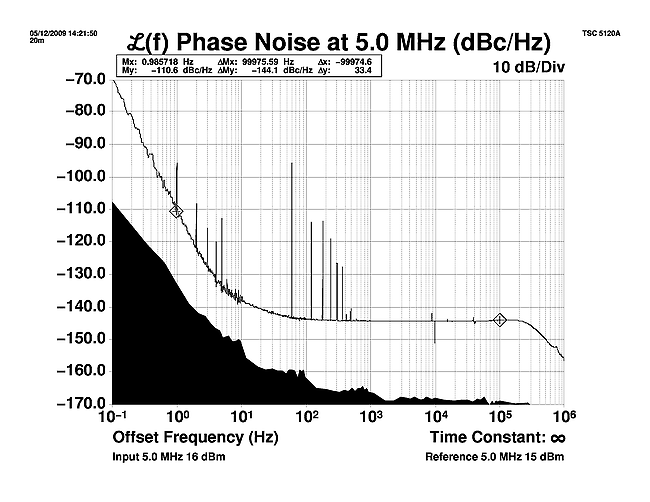 The frequency offset is about -6.7x10-12. Measurements against an HP 5065A (that has lower ADEV in the 100-10K second range than the GPSDO) show slightly better mid-range results, but it's not a significant difference. 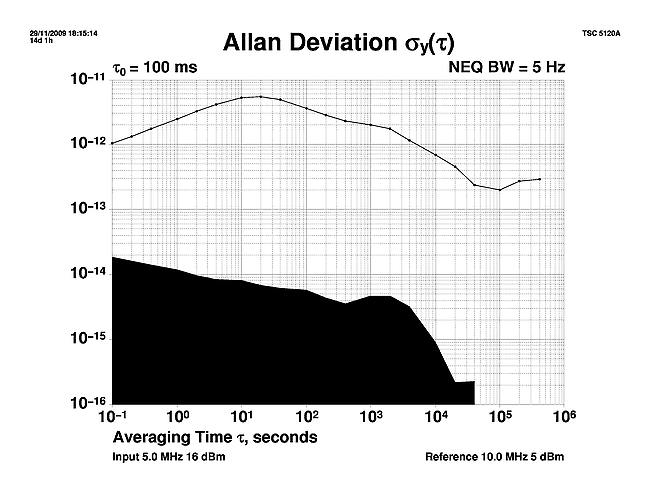 The 60 Hz spur and its harmonics may be more an artifact of the test set-up than truly representative of the FTS 4100. The spur near 1 Hertz may be bleed-through from the unit's 1 PPS divider circuit.